Absorbtex is the newest of the three divisions at Fort International, which was started over 10+ years ago. 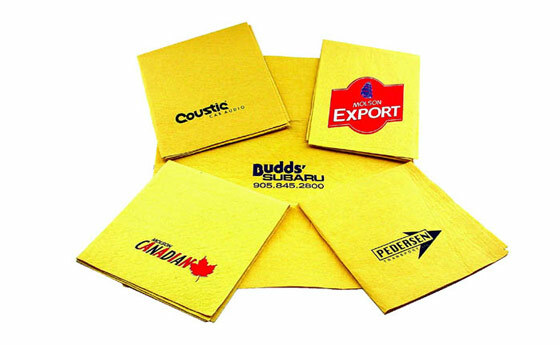 Absorbtex has been a reliable and strong brand within the many industries it is sold. 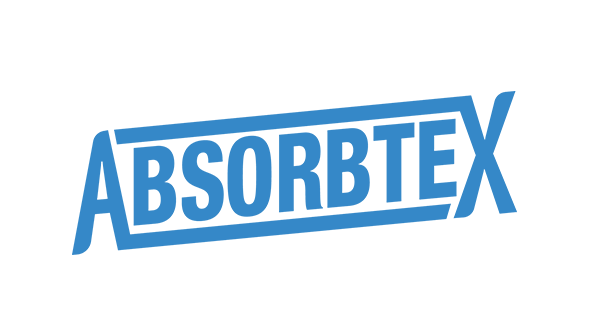 The Absorbtex division has several categories within this division of the company. The Absorbtex division is broken into five key areas, Household & Commercial Cleaning, Automotive, Promotional Products, Pet Care Products and Incontinence Products. 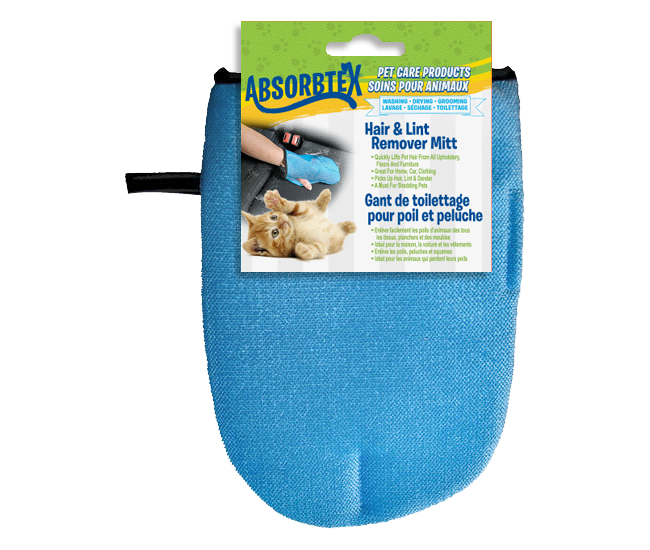 The Absorbtex Pet Care Division supplies washing, drying and grooming products for your pets. Now our four-legged family members can benefit from some of the most sophisticated washing, drying and cleaning textiles from our design teams. Pet care is our number one focus when we source and develop these products. As pet lovers ourselves, we know how important it is to provide you with the best quality products to keep your pets clean, dry, healthy & comfortable. 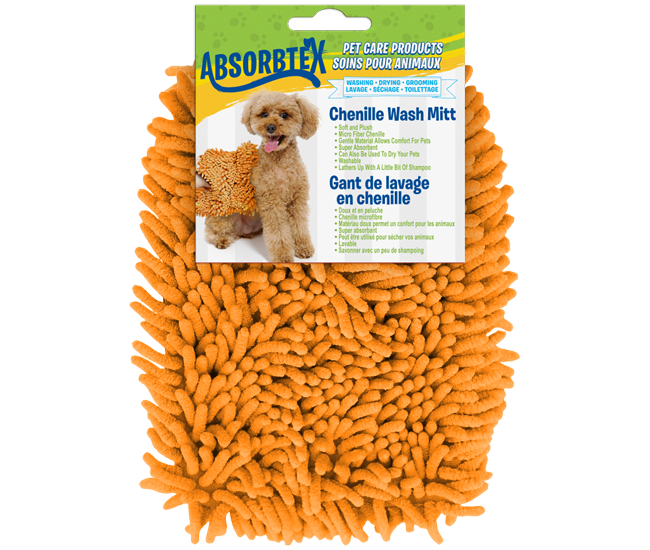 Many items from our selection of products also allow you to protect your floors, furniture and cars from muddy paws, rainy walks and shedding fur that never seems to quit. We offer individual retail products, as well as many convenient assorted kits and multi-pack bundles that provide excellent value. 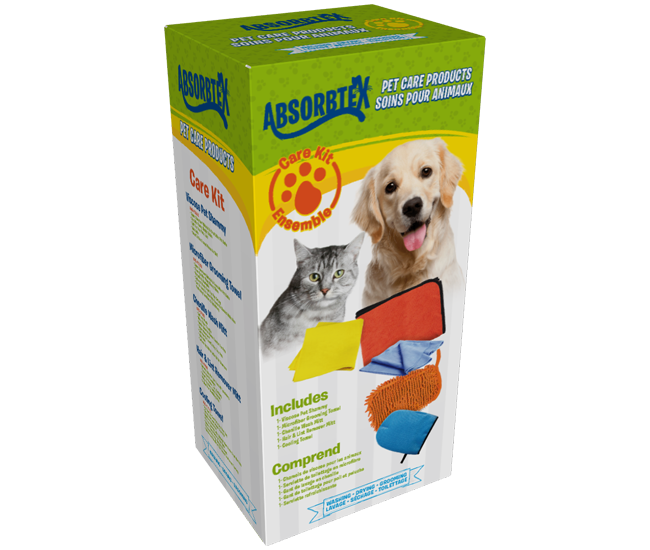 We are extremely confident that your pets will love Absorbtex Pet Care products as much as you will. The Absorbtex household and commercial cleaning business focuses on both retail customers and commercial customers. 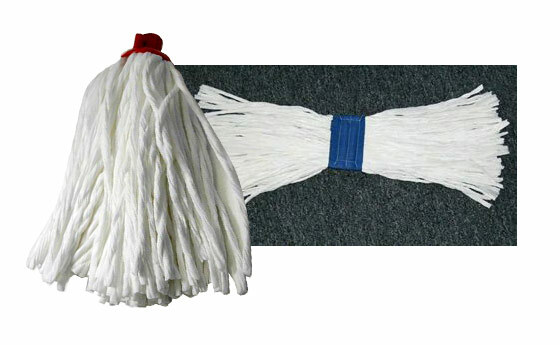 Products such as spun lace viscose mops and household cleaning cloths have been the main products of success. 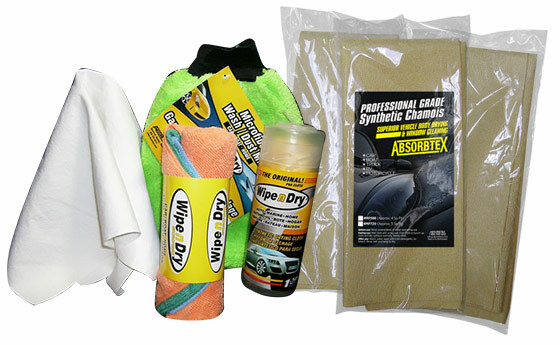 The Absorbtex automotive category includes many types of chamois and towels for automotive customers. 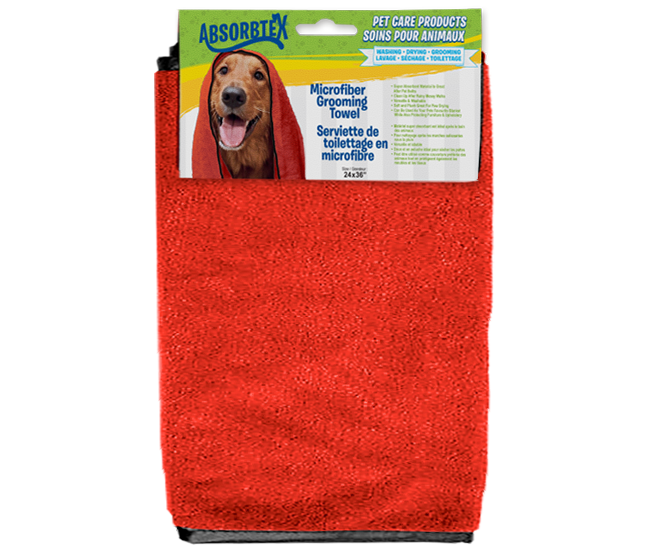 Microfiber towels, drying cloths, synthetic chamois, cotton towels, detailing and car cleaning kits and much more. Our product categories cover automotive retail products, wholesale distribution and products designated for the automotive industry. The Absorbtex promotional products category is an area where we customize products for our customers. If a company would like their brand, name and/or logo on our products, it can be done with ease. This has been a successful venue for our customers in promoting their company, either with a new or old brand name, or just as a giveaway or way to advertise your company. 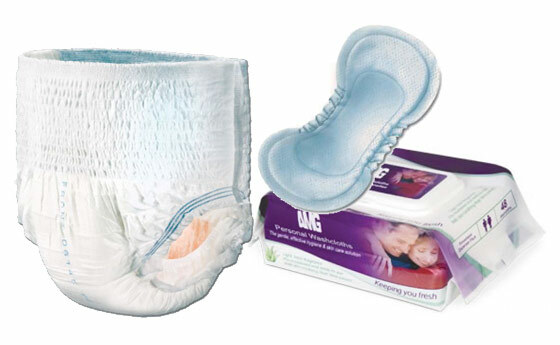 The Absorbtex incontinence products category is an extremely important part of our business, as we focus on being a supplier of high quality disposable Incontinence Management Products. This division has been operational for over a decade during which we have discovered the importance of customer discretion, confidentiality and convenience. Taking what we learned from experience, we created a home delivery service to simplify the lives of our customers and eliminate unnecessary stresses by bringing the products directly to the doorstep of your home or Seniors Residence.